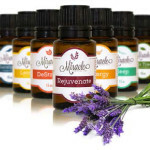 Essential oil diffusers come in many types and shapes. 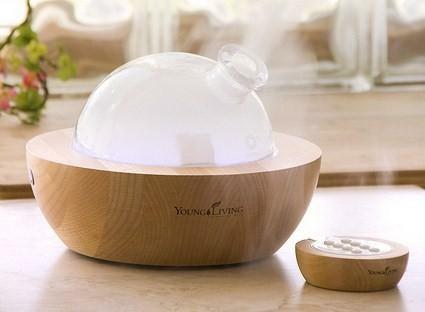 This one here is the Young Living Aria Diffuser. It’s beautiful, but also quite expensive. Essential oil diffusers break down the essential oils so that the aroma can be dispersed throughout the whole room. It’s a great way to use essential oils since this brings a soothing and relaxing atmosphere that you can enjoy. However, it’s troublesome when the diffuser starts functioning improperly or even breaks. At times, all it needs is a good clean-up, but it may also need some other tune-ups for it to get fixed if you experience some issues. Below, I’ve outlined the most common reasons for problems, and how to easily fix your essential oil diffuser at home. If your essential oil diffuser is experiencing some hiccups, give these tips a try, and also don’t be shy to share your own experience in the comments. It is vitally important that you clean your diffuser properly on a regular basis. While it can be a challenge at first, you’ll slowly get used to the process of cleaning the diffuser and you’ll be maintaining it yourself instead of paying someone to do it for you, or waiting for the diffuser to break down and having to expense the replacement cost. It’s an incredible hassle to bring in or send back a diffuser just for cleaning, and it becomes of an even bigger problem if the diffuser gets broken because you didn’t clean it properly. Exact cleaning recommendations and steps will vary depending on which diffuser you use. PLEASE give your diffuser manual a quick read before you start its operation, just so that you know what you need to do to maintain it’s best functionality and most effective diffusing of aromatherapy. Fill your diffuser about half way with clean water. Make sure you stop well below the max line. Add up to 10 drops of pure white vinegar. This will help in removing the oils that are stuck inside the diffuser and on the glass or plastic pieces. Let the diffuser run for about 3-5 minutes to allow the water-vinegar mixture to disperse throughout the unit and clean it. Using a cotton swab dipped in vinegar, clean the tight spots and corners of the diffuser to make sure that no spots are left dirty. Empty again and you’re good to go. Use a dry cloth, or more cotton swabs or cotton balls to wipe the diffuser and dry it thoroughly. Please note, some people have told me that cleaning your diffuser with vinegar voided their diffuser warranty – specifically on Young Living diffusers. If your unit is still under warranty, it would be best to call customer service of your diffuser brand or product seller first before you attempt any home remedies to clean your unit. Some diffusers also give you specific cleaning instructions in their diffuser manuals. Please always consult these avenues first before proceeding with my general cleaning tips. Most manufacturer instructions will tell you to clean out your diffuser after each use, which at first may seem a bit excessive. While I owned my first diffuser unit, I didn’t do it properly each time. I’d leave water plus essential oil mixture in the diffuser, thinking “oh I’ll just run this again tomorrow”. Please DO NOT MAKE THE SAME MISTAKE. The oils used in your essential oil diffuser can be very corrosive and you really do have to clean it out after each use for best longevity and performance of the unit. Further, the smells and leftovers of one oil can severely effect the experience you have when you put another scent or oil in your diffuser. So, after each use, please fully empty your essential oil diffuser of all water and oils, and give it at least a quick wipe with a damp cloth, Kleenex, or Q-tip. If you’re using your essential oil diffuser on a regular basis, it can from time to time come up with some troubles or hiccups. But do not panic! Most common problems can easily be solved with the following few simple tricks. Using a diffuser to use essential oils is very convenient. However, you also need to remember that you need to clean and maintain it regularly to ensure that it doesn’t get damaged. Read your particular diffuser’s manual to learn how to effectively clean your unit yourself and also know the proper way how to use it to prevent damage from occurring in the first place. Mine also. When I turn it on. It whines very loud. The motor has gone bad. I used distilled white vinegar and mine instantly started to run better. It sounded like the fan was all bogged down. I also will spray compressed air through the fan holes to get rid of any dust or dirt in my unit. It runs like a dream. I just followed directions for cleaning my Aria diffuser. It does fill up with steam, however the steam will not flow out through the mist spout. I have turned the glass dome in various positions with no success. Any ideas? Mine is brand new as well, mist isn’t coming out and I got it for Christmas. So sad idk what the problem is. Steve and Daniel, have you tried the folks at DiffuserDoc.com? 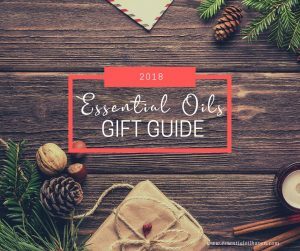 I believe they have kits for doTerra and Young Living! Thanks for the information- it looks like a very simple process. Does it have to be pure white vinegar? Or could I use apple cider vinegar or another type of vinegar? Hi Sarah. Please only use white vinegar as Cider or other tinted/brown vinegars may leave behind unwanted stains and such. There are a few vinegars labelled “Extra Strength Cleaning Vinegar”, but I haven’t bothered with that yet. I always just use the Heinz white vinegar from the grocery store isle that I can also use for my other regular cooking in the kitchen. FYI…if you have a Young Living diffuser and you use ANYTHING other than distilled water in your diffuser and/or rubbing alcohol to wipe out (NOT diffuse) your diffuser, you will void your warranty and they will not replace your diffuser! I followed the directions above and used white vinegar, and when that didn’t help mine and I called customer service they couldn’t help me replace it because I had used something they don’t tell you to! Don’t want this to happen to anyone else! Sorry to learn about your warranty! Here’s a PDF from Young Living you might find interesting, https://static.youngliving.com/en-US/PDFS/PIP_Aria.pdf. This PDF indicates the only appropriate cleaner is Thieves. A couple additional considerations: use distilled water only and consider cleaning the small circular air filter underneath with white vingear. After using this daily for a year and having pets, it can get clogged up just like the filter for an air conditioning unit which will ultimately reduce the airflow and overall diffusion rate. Twist, remove, clean, allow to completely dry then replace. I’m an YL oil addict, and received the aria diffuser for Christmas!! Used it once, and it stopped working. I put a little water in it because I didn’t want to run it long. The lights and music came on, but no diffusing. I hopped on live chat, and started reading your article while waiting. I came across the part where you said to make sure you have enough water in it. I added more water, and it worked!!! Thanks so much!! Absolutely incredible. Thanks so much for the story! And what a fix! My diffuser isn’t diffusing the smoke as much as it did yesterday, what could be wrong? Hi Alex, sorry to hear about your diffuser. I have found in my own use of diffusers that sometimes overfilling the water past the “Max” line will make the diffuser put out less steam because it can’t work properly because it’s too full… But that’s my diffuser unit; I’m not sure which model you own so your best bet is to contact the supplier or manufacturer of your diffuser directly as they will have more experience with their exact product and troubleshooting it for you specifically. Not sure which diffuser you have Alex, but the Aria has a small circular filter than could require some cleaning. If that’s the case consider cleaning the air filter underneath with white vingear. After using this daily for a year and having pets, it can get clogged up just like the filter for an air conditioning unit which will ultimately reduce the airflow and overall diffusion rate. Twist, remove, clean, allow to completely dry then replace. Hi this is Michelle, review my note! Also know what type of water you have? Hard or soft, it makes a huge difference! I have the YL Rose Hime Diffuser and it has started to whine when I first turn on. Any suggestiins? I’ve cleaned it only for it to do same thing. You have mineral deposits on your ultrasonic ceramic disk. Mine is doing the same thing.please help! My mother in law has the same problem with her diffuser. Jen, Pat, Alessia and Christina, have you tried the folks at DiffuserDoc.com? They have diffuser fix kits for doTerra and Young Living! I have a different brand (SpaRoom) which I have had for a little less than a month. Everything was working great until today, no mist. Cleaned it with alcohol and then vinegar, neither helped. I could hear something kick on, then shortly after it would turn off. Opened up the unit and one of the solders on the disc had come loose. Apparently I like to keep my hubby doing fiddly little fix it jobs, but 10 minutes in the garage with him and my diffuser is purring like a kitten. Your diffuser has a failsafe. Sounds like your ultrasonic ceramic disk has failed and requires replacement. Very simple procedure. If your unit fails to work after replacing the ceramic disk, the power supply has failed. I have the Aria diffuser and dropped the glass top. Anyone know where I can hopefully replace this? HELP! Hey Debbie, oh that’s unfortunate it broke, sorry to hear. Maybe contact a Young Living rep in your area? Look in Google for “Young Living Rep” or “Young Living Distributor” plus add your local town or city name as I’d assume the only replacement parts for the YL Aria would come from YL directly. Debbie, you can order the Aria glass dome from an YL distributor. The cost of the glass dome is $32.24 retail, but the distributor can get it for a little less, using their wholesale price advantage. Debbie, you can order direct from YL and get a replacement top. You can also contact a YL distributor for help. I love my Aria!! Mine is doing the same thing. Just flickers when I try to turn it on. Did you get it fixed? I went on Live Chat with Young Living. He told me to put in alcohol and let sit for 2 hours. Appreciated any comment you might have! Mine is doing the same thing! Did your alcohol work? I am having the same problem. I will push the switch for mist and it will light up for a split second, spit water out of the bottom, then turn off. Same issue here as well as many others who use the home diffuser. I chatted with YL and he had me clean it with rubbing alcohol. It didn’t help. I’m just praying it will miraculously start working. Toni, Sara, Tracy & Ashlee, please try the folks at DiffuserDoc.com 🙂 They specialize in Young Living diffuser repairs. My diffuser did the same thing and I ordered the disc replacement from diffuserdoc.com. It works perfectly and it only took 5 minutes to fix. Go to the Young Living website and you can order a replacement dome directly from them. Is pure vinegar the same as distilled white vinegar? My diffuser will run for a VERY long time where I just shut it off. The last time I think I let it run for over 30 hours and it was still blowing out a small stream of mist. When I shut it off and peeked in to see how much liquid was still left, I was shocked to see it was over half full! And obviously the scent is almost non existent at this point. Any ideas what is going on? Thanks so much for any help or advise!! Hi, thanks for writing. Sounds to me like your diffuser is broken. I’ve never heard of a diffuser running time of 20 hours for regular operations. Most diffusers will run for 3-4 hours typically, some run for up to 8-10 hours if they have a larger water tank. It sounds like yours is not diffusing properly as it seems to hardly use any water in the amount of time you said. I’d recommend to talk to the store or supplier where you bought your unit from and get a replacement. i have the dotterra diffuser and the light goes off and on and it seems to spit out more water than mist i have cleaned it but nothing has helped? any ideas? Hello, my diffuser is working, but at the top a water seal keeps firming and stops the steam from being released. If I remove the top the water seal is broken, and it will then release the steam…what should I do? I have the home rose diffurser. Turned it on after a year because I moved across country.no steam at all, what is going on. Young Living suggested a q-tip with alcohol to run around the metal part in center. They also suggested with the Dewdrop to NOT align the holes in the base with the inner cone. That does help. Sometimes, the cord needs to be replaced. If you have two of the same diffuser, switch those out. If starts working, and still under warranty, YL will replace. CLEANING daily is the key. If liquid is left in the diffuser, don’t pitch it. Put it in a glass spray bottle for a room spray or in an amber bottle, then put some on acotton ball, and put by a vent to circulate throughout the house. Will the function be affected if the diffuser outer shell is broken ? What if there is a ton of most but it just won’t come out? I’ve cleaned it with vinegar and alcohol. Hey Jessica, please check that you haven’t over-filled your diffuser. Sometimes when I’ve put too much water in mine, it would run but no mist would come out. Amazing! Glad to hear it, thanks!! Thanks for the great info!Do you know where can you purchase power supply cords? I have a SpaVapor+ that has a bad power supply. I have a purple rose diffuser, all of a sudden it started spitting out water and mist. Theres water everywhere. Ive emptied it and tried different levels of water but it still seems to spit out like the fan is too strong. Any suggestions? Mine started spitting water as well. I have the Doterra Petal Diffuser. I didn’t know about cleaning it daily, so after a few weeks it began forming a water seal at the stop, and spewing water and mist. I saw another comment with the same water seal problem. Any suggestions? Is it broken or does it need a Cleaning? A friend of mine gave me her diffuser because she no longer used it but she must have used the same oil all the time and alot of it because the diffuser has that scent embedded into it and unfortunately it is too strong of a smell for me. Do you have any suggestions of how to remove the scent? Goodness, I’m asking the same! How to remove permeated scents!??? Hi Emma A. and Robin – Try the mixture with water and vinegar outlined above in the “8 Simple Steps To Clean Your Essential Oil Diffuser”. Citrus scents may be stronger and more stuck in your diffuser, especially plastic diffusers. Citrus oils have properties that corrode their plastic surroundings and if you or the previous owner ran a lot of Lemon oil in it for example, your unit might be permanently “citrus use only” because the oils would have started to attack the plastics and the scents stuck in there forever. I’m writing a full article on this right now and will update again when it’s ready – the whole citrus oils thing is a very common question so thanks for submitting your comments! Hello! Did you happen to complete the article about citrus oils? I think that my Ellia diffuser is ruined. I use the Tierra Essentials diffuser…it also can be used as a night light or light can be turned off. Uses tap water and only 2-3 drops of an oil or blend of oils. My first search in needing help led me right here. Thanks so much for the help! I have the Aria and I really didn’t want to replace it yet! Thanks Laura, glad to hear! Hi I recently got a Young Living Dew drop diffuser. When on, the light is on for about 10 or 12 minutes. Still I cannot see the mistake either. To restart it have to disconnect from the small DC power plug. I also noticed that the manual shows a groove on the outer lid and a lid positioning notch. They are not there. Just got mine. Working but led lights worked at first then stopped. Anyone else have this happen. 👍Awesome, I’m glad to hear it!! I thought these diffusers were great just bought one last night no mist only colors. Might this be why I cannot rid my machine of a Lemongrass scent!? My aroma lite does not produce the mist anymore. I hear the fan but the high pitch sound that accompanies is absent. Is it fixable? Hi Matt, you might like to give your diffuser plate a good cleaning with Q-tips dipped in vinegar to try and remove any possible oil residue that might prevent it from misting. Otherwise, please contact customer service of where you purchased your diffuser; they might have more model-specific insight. my diffuser is misting enough it seems but i cant smell it and im putting in a squeeze or 2 of eo any thoughts? I have read many questions about their diffusers spitting water but NO replies. We are having the same issue, what can we do? Hi Tim – I’ve only seen diffusers spit water if they’re filled too close or over the max. line. Try running your diffuser with the tank on half full only and see if the problem persists. Need advice please….I thoroughly read my art naturals diffuser manual.. No mist will come out. It makes mist.. When I remove inner cover.. But when I replace it it does not release mist. Three fam members tried to help, but we are stumped. Only when I remove inner plastic lid do I get mist. Any ideas? Yes I played with water levels and no change. I’ve only used my diffuser once. I tried it again not too long after and it didn’t work. It was properly plugged in and the water level were right. I cleaned it out, but nothing, not even the light, turned on. Should I try letting the entire machine dry? Or should I try white vinegar. I don’t know what could’ve gone wrong. Love my defused, I like the lemon grass. My steam comes out very well but my scent is not good! What could be wrong? Kimberly – try adding 5-10 drops of oil to your diffuser. If you have a regular tank size of around 100ml, that should make a nice strong smell. If it still doesn’t, perhaps try another essential oil, it could be that you’re using an older bottle of oil. If you still don’t get the scent, talk to the manufacturer of your exact diffuser, they might have some more insight for you. Hi, I purchased the Greenair Spa Vapor 2.0. Can someone help me find out what is wrong with it? It will not put out any mist. I tried bringing it to my work and my boss has one. I filled the water to the fill lines on both with the same temp water and same amount of oil. His starts to mist instantly as mine does not. So I tried switching the cords to see if maybe my cord was damaged. It shoots the water strong in his as well and his cord does the same on mine. When they are plugged into my unit the water barely bubbles at the top. On his it actually shoots the water above the actual fill…I do not see a power level button on here so I don’t see why mine is not working. Can someone please help me out???? Thank you very much in advance! Hi Nick, you might have to take this issue to the manufacturer directly as it sounds like your unit has some more serious problems, especially if what you’re describing is happening to it since it’s new. Call the people on your order form or where you’ve purchased the unit from. I cannot seem to remove previous scents from my unit. No matter what I do, I keep smelling Lemongrass. It seems to be permeated my machine and is mixing with every other scent. I love my YL Aria, but even if the timer is set for 3 hours, it runs about an hour and shuts off. There is also quite a bit of water left in the diffuser after it shuts off. What’s up with that? Everything else seems to be great! Hi Sherry, I have heard about other diffusers doing the same thing and the answer seems to be that exact climates, water quality used and evaporation rates cannot be controlled and some diffuser units are programmed a bit more conservatively and might shut off a bit earlier than expected. Personally, I’d rather have the unit shut off a little early than a little too late! However, I do not own the YL Aria myself so I cannot actually really speak to this. Your best bet is to contact your YL customer service rep and ask if this is a known or common issue with your type of diffuser. You might be able to get a replacement unit. My dew drop is leaking water. ??????? It’s coming out from the bottom. My diffuser seems be working properly but all of a sudden there’s no aroma coming from it. I used to only add like 5-7 drops and the aroma was strong. I even added more and still no aroma. I have a saje diffuser, mine on 1st setting stopped misting after a few minutes…. just needs a toothbrush and a good cleaning in the “circle” on the vibration plate inside machine. .. when you think you’ve done a good job, do it again! Mines back to normal. I can’t get the top off to add more water and oils. Only used once. Hope you can help. It is URPOWER Essential Oil Duffuser. It’s fixed….I wiped it out, and wiped the overflow light….maybe it was wet? It turns out the “middle” sink is the actual res where the water is suppposed to go. Do Not use Vinegar in Young Living diffuser. It voids your warranty. Found out the hard way. I haven’t seen anything on “My diffuser won’t shut off”. Not only can I not shut it off manually, it will not shut off automatically. I have to plug it in and unplug it. It runs fine, and diffuses beautifully, but I can’t fall asleep with it anymore, as it won’t shut off. I’m hearing more about Young Living diffusers not working. I had mine for about 18 months and it stopped working. Warranty expired of course. You think the warranty would be longer since you pay do much for it. 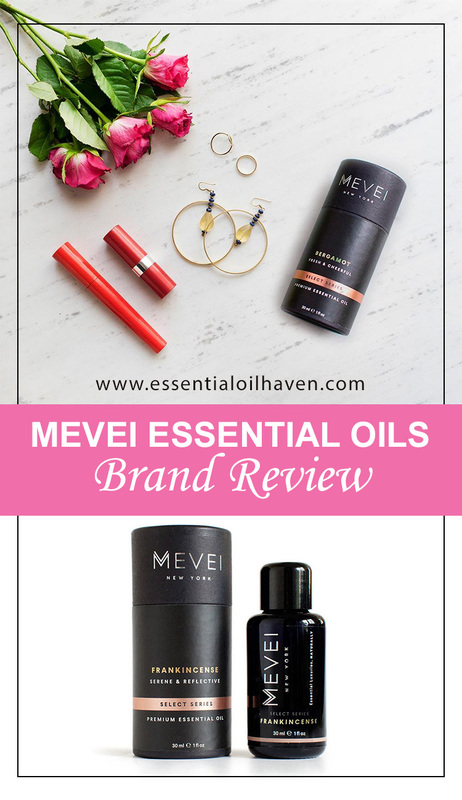 I have stopped recommending this diffuser to my friends & family. Anyone having problems with diffuser Oils pitting anything the Oils come in contact with. I have my diffuser on night stand and have my reading glasses next to diffuser. The lenses are all of a sudden pitted. Wondered if anyone has had anything similar? If you are diffusing citrus and the lenses of your glasses are plastic this can happen when the oils over time settle on the lenses. Move either your diffuser or your glass or put your glasses in a case. first time using my Innogear diffuser and it constantly beeps when plugged in and lights nor diffuser work, any ideas what’s wrong? water level is just below max. line. Hi Jill, perhaps post this question to Innogear directly, or if you purchased it on Amazon, go through buyer support there. That’s the most direct line as they will know their own product best! I just got my oil diffuser and I put one oil scent into it for the first time. Afterwards, I emptied it and cleaned it out with a cloth, some rubbing alcohol, water, then wiped it dry. I still smell the scent of the oil I used even after cleaning it. Is there any way to remove this oil scent from the diffuser??? I don’t want it to ruin my essential oil experience when I try a different scent. Hi Lisa, sounds like you did everything right. Sometimes cleaning with a vinegar solution will help as well to kill previous smells. You can find the steps in this article above. I do find that depending on the plastic/quality of your diffuser, some diffusers will just maintain a stronger “leftover” smells than others. Dry out your diffuser well by leaving it opened out on the counter for a few days. Sometimes the smell will dissipate like that. It also depends on the first oil you put in. 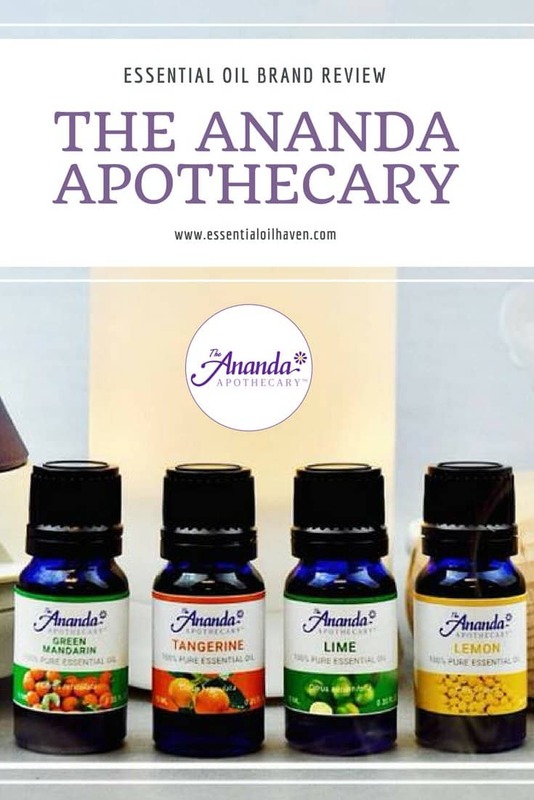 If it was a citrus oil such as lemon, you might be out of luck as those oils strongly react with plastics and can leave lasting smells in your diffuser. I always recommend to not use Lemon in your main diffuser, or keep a 2nd little diffuser handy for those types of oils. I filled it with water to the fill marker. It tells you to press once press again to lock in the colour it stays on two seconds. What is happening with this. Hey! I have the Aria from YL and after a year, it will turn on but it wont diffuse. There is a tiny bubble of water but it doesnt do more than that. Of course the warranty is expired, so YL said i could try replacing the ultrasonic plate. I took mine out and cleaned it off with vinegar and now nothing happens:( any ideas? diffuser, which among several others is my favorite. Recently my son was using it because he had a cold and when he returned it the small round plastic insert on top was stuck. I finally managed to remove it and realized that something happened to the plastic supporting it. It feels all gooey and appears to have been affected by the essential oils. I tried to clean it with alcohol which did not improve the situation much. Any advice? I have the aria diffuser that will not steam. What can I do? My diffuser is splashing out water when it runs so that it only runs like 5 mins max. It splashes water out that it like wets the whole area around the diffuser. Anyone know why? Hi. I have the ‘cloud’ diffuser from Saje. This is the third one Inhave after I keep taking it back because it malfunctions. It sometimes stays in until the water runs out (which is what Ibwanr through the night) and other times it stops after only 5 minutes! – Even after I have cleaned it with rubbing alcohol all around and with a Q-tip in the center circle. 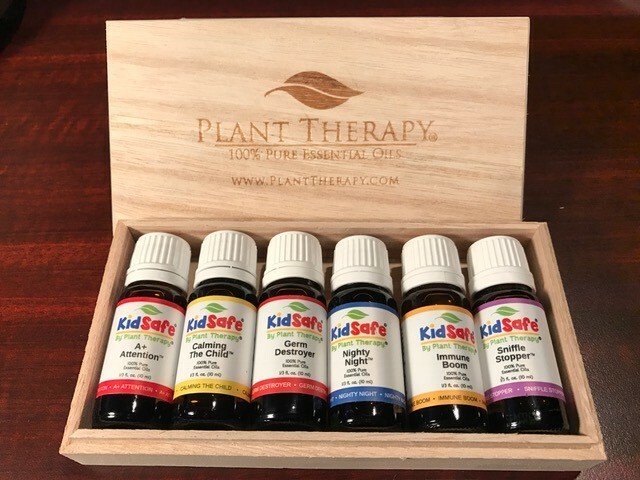 Has anyone used the “vinegar method” with a Saje diffuser? – Is it safe to try this? ..or if you have this problems as well with your Saje difusser, how did you resolve it? I’ve used my YL diffuser about 10 times in almost a years time, cleaned it regularly, now it bubbles, but no mist. May just go back to using a pan on the stove and a timer! Seems like these diffusers are trouble prone. Mary, please make sure you’ve only filled your unit to the max line. To be on the safe side, you can also go a bit lower. I’ve found that when I overfill my diffuser, it tends to splatter and sputter as well, and sometimes doesn’t even mist. Take out some water. That’s not it. There’s barely any water in mine right now and it’s still doing it. My diffuser worked super. Until it decided to start spitting water out the top of it. No. I am not filling it up past the Max Fill Line. It happens if I fill it a quarter towards the Max Fill Line. No. I am not running it on a quilt or an uneven surface that could impact the air intake. Yes, I have tried running it with plain water for about 15 mins (with paper towels rolled into a tube and secured with elastic around the unit below the spout to catch all the spray) and then rinsing it out and doing that again over and over. I have tried swabbing the little opening inside of the liquid reservoir with vinegar on a cotton swab. I have tried letting it sit with some vinegar in there just to soak and then wipe it out and run water through. I bought young living usb diffuser 2 years ago. Stopped using for sometime and now couldn’t function. Probably due to not cleaning well. My diffuser drips water inside it. It is quiet but the dripping is driving me crazy. Is there one out there that doesn’t drip? Mine drips too. It’s not constant enough to be zen, and just often enough to be really, really annoying. Any ideas? How should I clean the diffuser to not mix aromas when I change the blend from the one I was using previously? Consider using distilled water only just like you would in an iron so as not to accumulate particulates that would end up clogging your diffuser and ultimately effecting performance. Also consider cleaning any filter that your diffuse may have as these can easily build up with dust especially for those with pets. 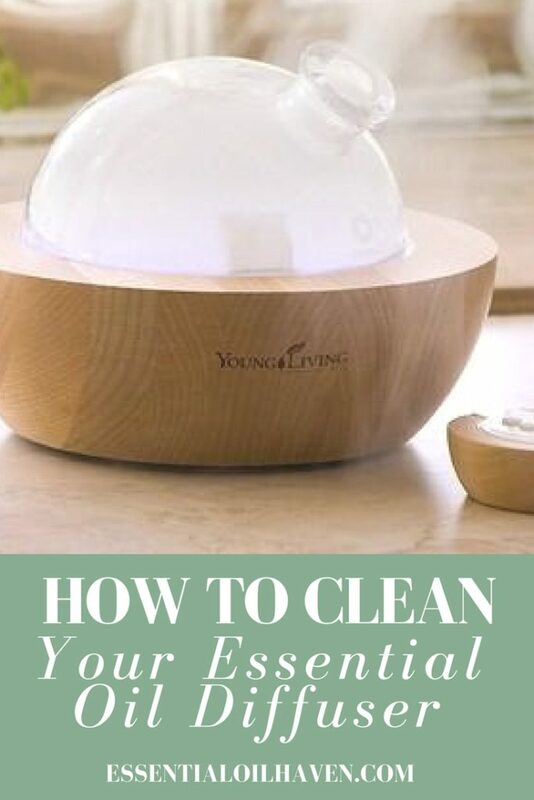 DO NOT CLEAN ANY YOUNG LIVING DIFFUSERS WITH VINEGAR! THIS WILL VOID THE WARRANTY AND DAMAGE THE UNIT. REFER TO YOUNG LIVING, OR USER MANUAL CLEANING INSTRUCTIONS, ONLY CLEAN WITH RUBBING ALCOHOL. Paint peeling off of defuser!! My diffuser seems to be working fine except the mist is not coming out. I remove the top and it is filled with mist but nothing is coming out the venting hole at the top. I have cleaned a number of times and the same problem persists. Anyone know why? I have the same exact problem and have tried every imaginable cleaning method. Steam is filling diffuser but nothing comes out the top. Noticed several people with this issue but no answers as to why it may be happening. Hi Karen- yes, you can use apple cider vinegar for cleaning as well. It’s a bit pricier than white vinegar but for cleaning purposes, both vinegars essentially function the same. Mine is constantly beeping. It’s runing but the lights won’t work and it won’t shut up. Help please. I’ve cleaned it. Same here!!! Did you work it out?? So if you have water at the exact level, have been good about regular and careful cleaning, and all of a sudden your diffuse stops releasing mist, but when you take off the top use can see it is still making mist and there is nothing obstructing it’s exit… what on earth could cause that? I got a home and garden 250 oil diffuser about4 weeks ago at walmart. Have been very careful not to fill above the max line have cleaned it good. Loved it,but two day ago filled it was going to start it and couldn’t push any of the button in. So can’t run vinegar in it because can’t start. Would take it back to Wal-Mart, but just thru box and receipt away a week ago thinking it would last longer than that.so guess I spent $34.95 +tax for a Month. Hi Brenda, I’m sorry to hear your diffuser quit on you. I just got the aria diffuser for Christmas. Just the other night, I noticed the steam is in the bowl, but it is not coming out of the spout. Should I call YL or do I clean it with vingar. Don’t want to void the warranty. Hi Laura, call YL or try a repair kit from DiffuserDoc for around $20. You can read about how they work, here: https://www.essentialoilhaven.com/how-to-repair-young-living-doterra-diffuser/. I forget to turn off mine. What will happen if the water dry? It will explode? Im away for 1 whole day. No one at home. Hi Kayeleen, most essential oil diffusers have an auto shut-off mechanism where they will stop their own operation when the water level is too low or has run out. Check your diffuser’s manual or manufacturer’s website to make sure your unit has this feature as well. I have a YL Rainstone and it is leaking when I turn it on. Any ideas? Mine makes the same loud whining noise. It’s a dew drop by YL. Thanks for the advice. My diffusers stopped changing colour? My diffuser just stopped suddenly. The tank had enough water in it. Now it just beeps, the lights don’t work or the buttons on the side. The remote doesn’t make a difference. As it beeps, I’m assuming its not completely dead. Any suggestions? Thanks for the help. I unscrewed it and opened it up. Everything was clean but I cleaned again and blew air in it and lubed it up real good. Baby’s working again I think the lube helped. Thank God I don’t know how I would have gotten through the night without my precious diffuser. Btw Does anyone know where you can get the replacement pads and washer for the car diffuser mine isn’t working I think the washer fell out . Wondering if it’s normal for the Aria to have quite a bit of water left in it after it’s done misting? Mine runs about 3-4 hrs but I hate that there is a little less than half the amount of water remaining under the max fill line. It just seems so wasteful to dump it out to change the scent. It’s barely a week old and I’ve cleaned it once already with rubbing alcohol. I didn’t even know there was an air intake on my diffuser, thanks! One of mine was directly on varnished wood and it developed a horrible smell! Nothing to do with the oils, but I think some of the varnish somehow got in over time and reacted with the plastic! The other one, which is on a metal surface is perfectly fine. I’m going to arrange the one on wood to be standing on a plate or something. Yuck! I ended up having to use a hair dryer on low and just literally air it out, no other cleaning was working. Thanks for this post !!!! probably just saved me from having to replace my brand new diffuser. Mother decided to make the table it was sitting on prettier by putting a thick cloth on top of it which was not good for the machine at all …. didnt even know it had fan holes !!!! noticed this morning it wasnt producing nearly the vapor it normally does . looked online found this post . moved cloth. everythings flowing again!!!! thank you thank you! Do NOT use vinegar in YL diffusers. It will break down the metal ring that holds the ultrasonic plate in place. I contacted customer support and the ONLY thing they recommended was water and rubbing alcohol. You will ruin your diffuser with acidic products like vinegar.